The Viking Sky cruise ship issued a mayday call on Saturday after discovering engine problems in the midst of the open sea and strong winds. 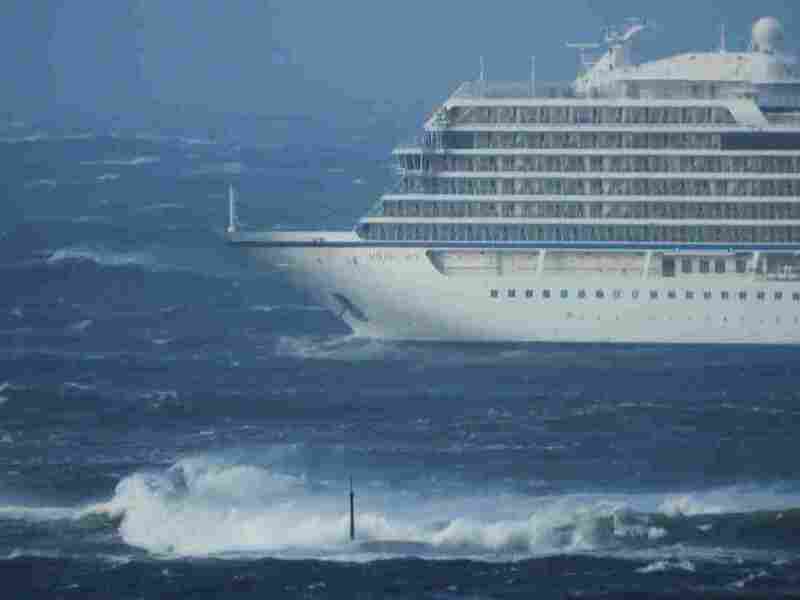 The Viking Sky cruise ship issued a mayday call on Saturday after experiencing engine problems in the midst of the open sea and strong winds. A cruise ship off Norway's west coast evacuated its 1,300 passengers after losing power and issued a mayday call on Saturday. Helicopters and both help with the evacuation process, which is expected to continue for many hours, The Associated Press reports. Viking Sky, run by Viking Ocean Cruises, experienced engine problems, reports the Norwegian newspaper VG. At that time, the cruise ship was also exposed to sea and strong winds, the newspaper said. The ship is located in Hustadsvika Bay, an area which, as Reuters reports, is known "for its harsh weather", where "shallow water is packed with reefs." The Norwegian government is investigating whether to "build a huge sea tunnel through a nearby mountain to improve safety" in the bay, according to the news agency. After the crew was able to restart an engine, police said Viking Sky moved farther from the outside and dropped anchor. So far, only approx. 100 people have been evacuated, according to the AP.